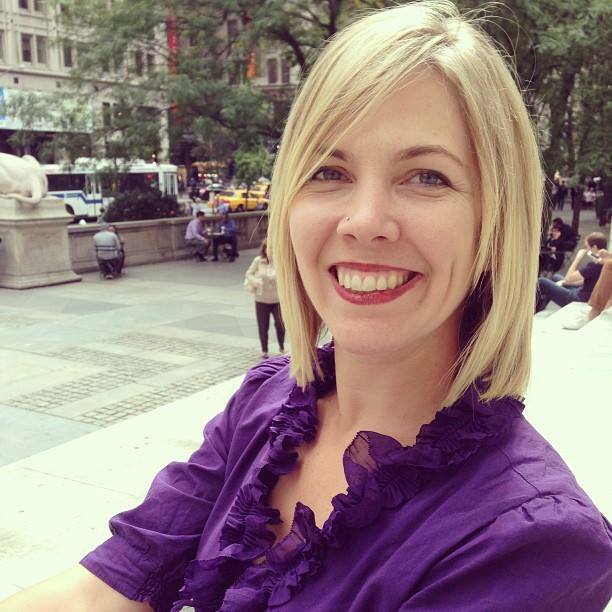 NYWIFT member Katrina Medoff spoke to fellow member Heather Taylor about Pay to Stay, for which she is currently running a crowdfunding campaign on Seed&Spark. Read on to learn more about the film and to hear Taylor’s advice to fellow filmmakers. What is the premise of your new horror short, Pay to Stay? Pay to Stay is about a lesbian couple, Rikki and Jenn, who decide to take a vacation in order to repair their relationship. There’s been a break in trust between them, so they’re trying to have some time alone to see if they can work everything out. Unfortunately, the apartment they rented from a stranger online is really a monster’s lair and this may be their last weekend alive. The idea definitely started as that interplay with trusting in the person you’re intimate with and the trust you give to people online. For me, that core premise was told best as a horror film. When I was thinking about the characters, I immediately knew I wanted the couple at the center of it to be two women. It’s just what I saw. But it’s also important for me to tell stories that are relatable to all my friends. I want to have representation across different sexualities and different races in my films because that is the world I see when I walk down the streets of New York. It’s our responsibility as filmmakers to make sure we create films that represent our actual world so it’s important for me to consider who I put on screen. If I don’t take responsibility to create more diversity and inclusivity in the work that I do, how do I expect other filmmakers to do the same? In your crowdfunding trailer, the audience is asked why technology lulls us into trusting strangers, even when we have a hard time trusting those we love the most. How did current technology and news spark your idea for Pay to Stay? I wrote Pay to Stay as more and more news stories surfaced — about the assaults on women in Ubers, and the case of the man who was trapped and assaulted in an AirBnB in Spain. When I lived in London, we were told never to get into unlicensed cabs as it wasn’t safe, but here we are going into strangers’ homes and getting into strangers’ cars, all because we ordered them on an app. It’s as if we think the technology is going to protect us in some way. It isn’t. The other week, news came out about the vulnerability of our smart devices. Suddenly, our innocuous devices are spying on us and we don’t know who’s on the other side listening in. You can expand that thought to the trust we place in our news as well. Facebook creates bias in your newsfeed based on who you’re friends with or what you engage with, so when you think you are getting a wide range of information to base your opinions on, you’re not. And then we have to be even more diligent in what we hear and read. Are we picking sources that we can trust? We can’t even trust the U.S. government to help us understand what is happening in the U.S. when we have a president that continues to lie to the people he governs. How did you decide that Pay to Stay will have an all-female cast and crew, and what do you think this will add to your film? There are two different motivations for that decision. I feel like a lot of horror films center around strong male characters with women being secondary characters. So what if we removed men from the equation? What would an all-female horror play out like? This is a way for me to explore that. As for crew, I realized that most of the crew members I’ve worked with in New York are men and I hadn’t worked with a lot of female crew members. So I wanted to use Pay to Stay as an opportunity to work with new people — specifically women —so I can have more diversity on both sides of the camera as I continue to shape my career. What advice would you give to other filmmakers who are making their own short films? I’d say get out into the world as much as possible and learn to balance your time. It’s important to meet other filmmakers so go to those quality events and see who you click with creatively, and would like to spend a lot of time with. It’s important to like your collaborators and if you want to make your own short films, you need good collaborators. But don’t spend too much time out there schmoozing. Watch everything. Have a ferocious appetite for all types of film and TV, docs and narrative. And actively learn. Understand what is happening in other countries, read books, go for walks, explore, go to exhibitions, sit in a diner in a neighborhood you’ve never been in. Be insatiably curious. And leave time to create. If you’re a writer, write something every day. A director? Analyze films, people, places. Get outside of your bubble. Understand that the world isn’t made up of people just like you so [think about] how can you relate, and make work that’s relatable to them. To contribute to Pay to Stay, visit SeedandSpark.com/fund/pay-to-stay to make a donation of money, time or equipment, such as anamorphic lenses. Seed&Spark also gives filmmakers a special filmmaking package if they get over 500 followers, so be sure to follow the project whether or not you can donate. To stay up to date on the project, follow @heatherAtaylor, @PaytoStayFilm or @redonblack/@redonblackfilms on Twitter, Instagram and Snapchat, or visit heatherAtaylor.com or redonblackproductions.com. In the inaugural conversation of NYWIFT’s new series Master Collaborations: The Power of Creative Partnerships on May 23, 2018, director Kahane Cooperman and producer Raphaela Neihausen opened up about how they worked together to create Joe’s Violin – and its road to being nominated for the Academy Awards. When NYWIFT member Cait Johnston first heard about the Jane Collective — a real-life group of women who helped others get abortions before Roe v. Wade — at a NYWIFT screening, she knew it was a story she had to tell. 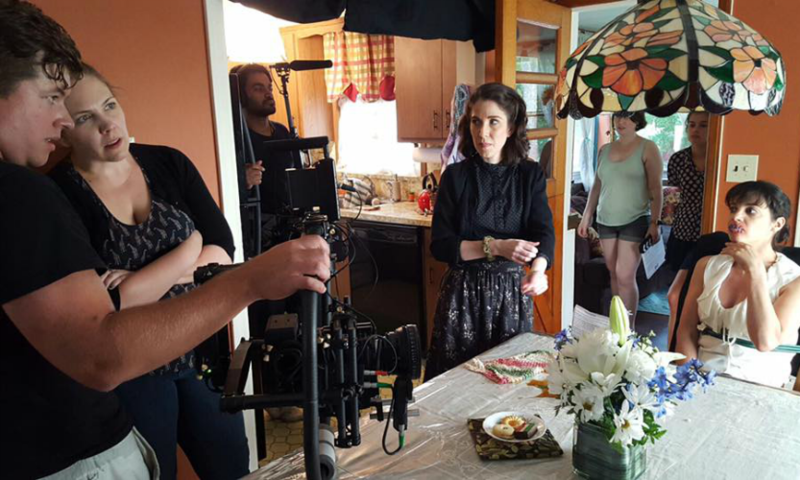 She teamed up with fellow member Rachel Carey, a screenwriter and director she know through a NYC theater company called The Shelter, to create Ask for Jane, a narrative feature film that they are currently crowdfunding for on Seed&Spark.